They say that you can never understand the present without knowing something of the past. One pain-free way of learning how we got where we are now is to read good historical crime fiction. Andrew Taylor is one of the best practitioners and his seventeenth-century London novels are among his most interesting. 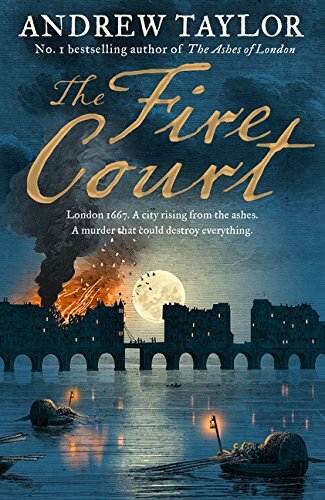 The series opened with The Ashes of London, which is set just after the Great Fire of 1666 and features an agreeable young clerk, James Marwood, and a spirited architectural draughtswoman, Cat Lovett. They are reunited in The Fire Court, which is full of dastardly goings-on in the fight for profit from the rebuilding of the burned city. The king has set up the court to adjudicate between the competing claims of freeholders and leaseholders, which means there’s profit for the legal profession too. James Marwood becomes involved when his demented father rambles on about some lewd woman he has seen dead in a nest of lawyers. James and Cat, now hiding behind a false name, are put through tortures of various kinds as they fight to save themselves and see true justice done. Taylor offers a powerful portrait of the post-fire city, sprinkled with delicious phrases to help us see it all through seventeenth-century eyes, and a painfully touching account of a difficult father-son relationship. Living in the world Taylor recreates so skilfully must have been frightening enough, but Heather Child offers an even more terrifying world to come in Everything About You. 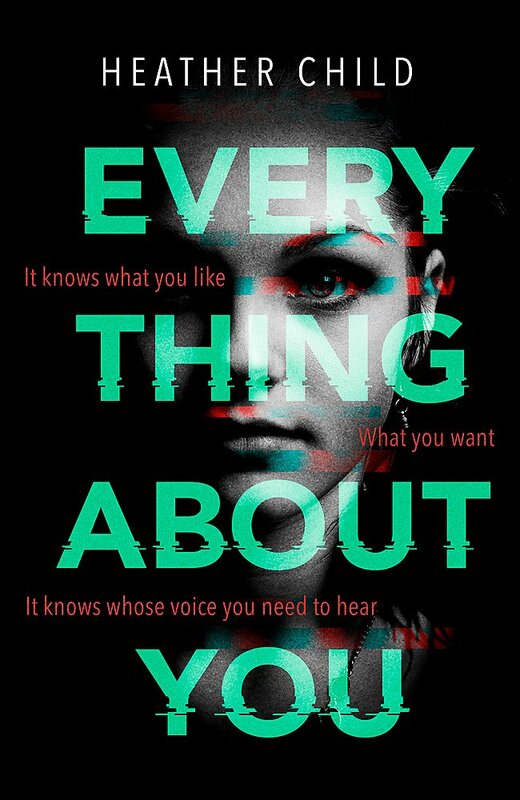 In this hellish dystopia algorithms based on your previous choices and behaviour – and even your thoughts – drive the version of the world that you see through your spectacles, your screens, your wallpaper, everything you pass. Even the concrete buttresses of motorways appear clothed in your choice of luxuriant foliage. Freya is in her early twenties and shut out of high-flying jobs by her inability to tolerate hyper-reality screen images. Instead she’s working in the canteen of a major store and has been given a new, untried device that will provide virtual assistance wherever she goes. Her foster sister disappeared years ago and so when the device speaks to Freya in Ruby’s voice, she cannot be sure whether her sister is actually alive or has merely been reproduced by computer. Freya plunges into the scariest of worlds to find out more. With good description and some humour to balance the horror of the existence it portrays, this novel offers something more alarming than any serial-killer gore-fest in that it negates everything that matters most in the human condition, i.e. the ability to deal with reality, to compromise when other people need or want something different from your own preferences, to build actual relationships with real, difficult people, and to rise above the essentially babyish need for instant gratification. 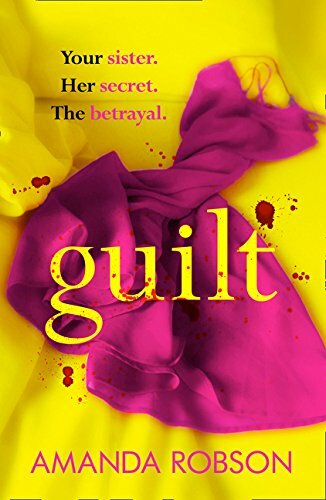 Amanda Robson’s Guilt shows how very difficult some people can be. Her fast-moving account of sibling devotion and resentment is told in three voices. Miranda is the elder sister, a high-earning accountant in Bristol, responsible and hardworking; her much more creative and angst-ridden sibling, Zara, lives in her flat and in her care and cuts herself for the pleasure the pain gives her; and Sebastian, Zara’s boyfriend, can’t keep his hands to himself where Miranda is concerned. 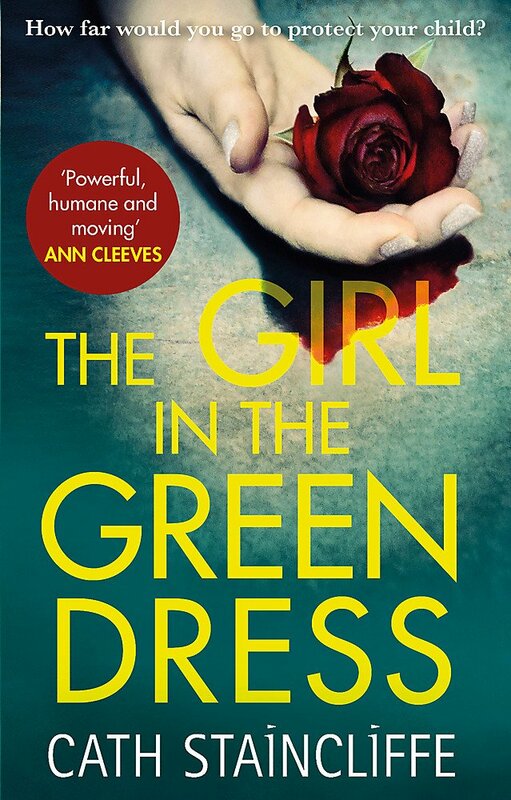 The novel opens with a third-person narrative of the moment when one of the sisters – unnamed – kills the other with a knife and is arrested on suspicion of murder. Then comes a long flashback, showing how the two women arrived at this bloody moment, followed by a description of the murderous sister’s trial. 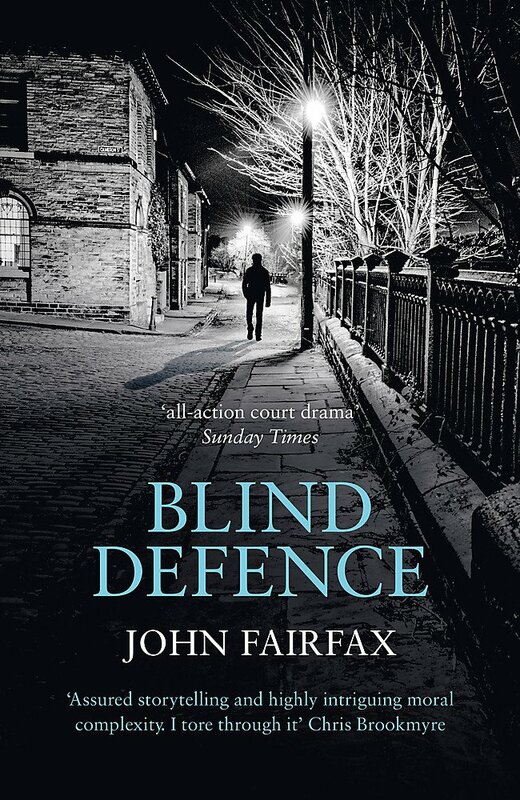 Apart from a little too much redemption and romance, which gives a sickly feeling to the denouement, this is a gripping account of a relationship that has so often been difficult and full of mutual hurt. 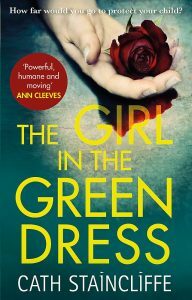 Cath Staincliffe explores the agony of parents in The Girl in the Green Dress. A transgender teenager, who is living as a woman but has not yet had any medical or surgical intervention, is killed one night in Manchester. Evidence shows that two assailants kicked and punched her. The Senior Investigating Officer, DI Donna Bell, is aware of the sensitivity of the case but is distracted by both her anxiety over her husband’s refusal to talk to the doctor about his alarming chest pains and her newest recruit, Jade, who won’t fit in with the team and keeps causing trouble. But there’s worse to come when parents of the likely suspects come to realize that their sons may be involved in the murder. Cath Staincliffe has an enviable talent for creating believable characters facing almost unbearable emotional challenges. It is impossible not to sympathize with their anguish and all too easy to get caught up in their stories. This is a novel about every kind of pain, as well as the ultimate triumph of affection and understanding – which isn’t sickly at all. 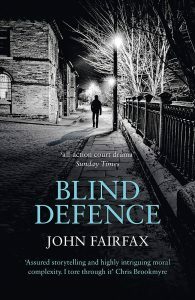 John Fairfax, who used to write as William Brodrick, puts his experience as both a friar and a barrister to good use in this sequel to Summary Justice. Once again his sleuth is William Benson, a barrister on parole after a life sentence for murder. Not surprisingly he finds it hard to get solicitors to send him briefs, and his finances are precarious in the extreme when a man accused of murdering his estranged wife insists on having him as counsel at the trial. Bound by the cab rank rule, which insists that any qualified barrister must represent the next client who comes to him or her, irrespective of any personal distaste, Benson would have had to take the case even if he hadn’t needed the fee to survive. The conflict this rule sets up in the morally sensitive is admirably displayed in Benson’s private struggles and adds depth to the narrative. Some aspects of the plot left me unable to suspend disbelief, but the novel offers a wide array of splendidly chewy ideas and dilemmas, and I look forward to Benson’s next adventure.